A great global team. A wealth of air access that continues to increase. Consistent and 0ngoing investment in its tourism products and programs. And the solid long-term relationship that it has built with the travel trade around the world. That’s the bullet-point explanation that Tourism Ireland’s CEO, Niall Gibbons offers when you ask him why Ireland had such a great year in 2018. Oh, and he’ll also tell you that Ireland has just launched its first new marketing campaign in seven years called Fill Your Heart With Ireland – https://www.youtube.com/watch?v=1dAkMZjxv9A. In 2019, new services include Aer Lingus from Montreal; WestJet from Calgary; Norwegian from Hamilton; and Air Canada from Toronto to Shannon. “You know, we’ve seen other tourist boards do it, but I think [agents have] been really, really good supporters,” Tourism Ireland’s CEO said. 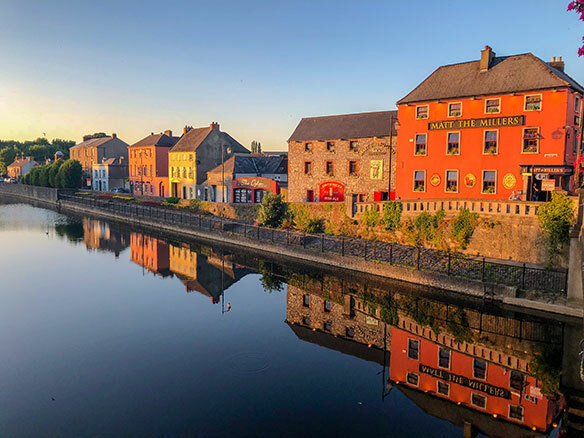 Tourism Ireland will be conducting two trade missions in Canada – one of which was completed in early February, the second set for September – as well as bringing members of the Canadian travel trade over for Ireland’s annual travel trade event in April. Tourism Ireland has also made huge inroads on the Web and in social media channels.